Forget about Usain Bolt and the men’s 100m. All eyes will be on the men’s 400 metres, which should answer some baffling questions about the form of Rusheen McDonald. Best Form Already Behind Him? 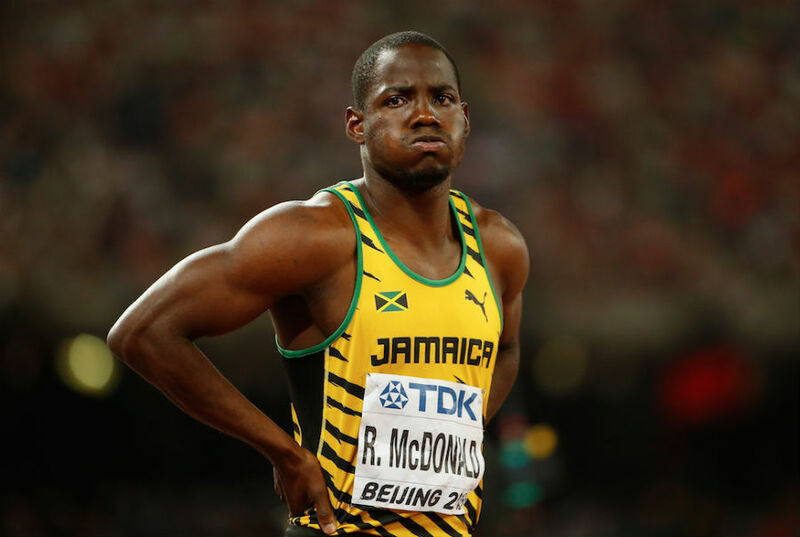 Since producing his stunning national record of 43.93 seconds at the IAAF World Championships in Beijing, last year, McDonald has struggled to generate anything remotely close to that effort, which has many wondering if his performance last summer was just an unexpected bit of good luck. Since his 43.93 sizzler in the heats at the world championships last August, McDonald has only broken 45-seconds once, despite him stating after that race that he made several mistakes and could have even gone faster. Struggling To Go Sub-45 Again, Why? His only other sub-45 seconds outing after August 23 is the 44.86 time he ran for a sixth place finish in the semi-finals in China, at the worlds. He’s been heavily criticized by a number of the Jamaican track and field supporters, with some going as far as saying his time should be removed from the Jamaica national record book. “His time isn’t real,” said a fan who calls himself Kranberry, who shows up to almost every track and field meetings in Jamaica. He is also not holding his breath over McDonald proving him wrong either. “I mean, come on man. He’s been awful this year,” a very frustrated Kranberry added. The 23-year-old McDonald has six 400m races under his belt so far this season, including four outdoor races, but his fastest on the term is only 45.90. After that, his times have been 46.79, 46.82, 46.05 and 46.21. McDonald’s race tactics have also been evidently puzzling this season, with the quartermiler, opting to cruise through the opening 300m and then sprint the final 100m, which resembled something similar to a float-sprint training drill. But Is Just Toying With Us? It is World-Track.org understanding that his coach Stephen Francis expects good things from his MVP Track Club pupil. McDonald himself also said that he and his coach have been working on fixing a few things before the Jamaica Olympic Trials. “I’m working on my race plan for the season,” he said last month. McDonald will be up against the likes of Javon Francis (44.77), Fitzroy Dunkley (45.06), Demish Gaye (45.30), high schoolers Christopher Taylor (45.66) and Akeem Bloomfield (46.01).